This review will teach you everything you need to know about the ‘Best Email Marketing Software Tools in 2018’ and which one is right for you and your business. The Entrepreneurs Gateway Team Leave No Stone Unturned In This Definitive Review. Pros, Cons, Comparisons and Ratings. If You’re Looking For The Right Email Marketing Software, You’ll Love This Review. With Email Marketing producing a 4800% ROI, you’ll be mad to ignore this marketing strategy. You’ve got it, your email marketing software tools. This guide and tutorial has everything you need to know about Bulk Emailers and Autoresponders. If you’re new to email marketing tools, or already an email marketing pro, this comprehensive definitive guide, reviews and FULLY tests the BEST email tools on the market today. 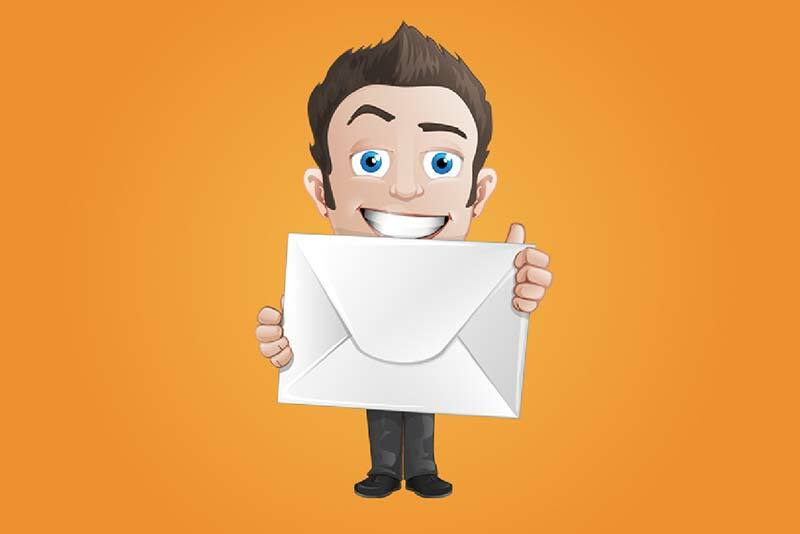 What is an Email Autoresponder and what does it do? Not all email marking software are created equal, and their features can differ massively. What they do all have in common is that they manage your emails; they are the engine that drives your list. Fundamentally, it’s an end-to-end platform for email marketing, and a crucial part of any business that wants SALES. When would I use email software? How would I use an email marking tool? By far the most under used, but without a doubt, the most important campaign any business MUST HAVE. We all know it’s important to keep in regular contact with our customers and potential clients. Update Campaigns allow you to announce brand-new products, a forthcoming event, a reminder to a webinar, new blog post, or even company newsletters. We’re in business to make money right? Well, improving our sales conversations is a BIG WIN – Welcome the Nurture Campaign. We send a series of emails warming up our list, before we make a new promotion. This could be a series of how to tips, storytelling, demo’s or even a free gift. SELL SELL SELL – Your Promotion Campaign is all about getting your list to take an action that leads to money in the bank. Great customer service leads to referrals – Hello Confirm Campaign. It’s just a simple, one-shot email saying thank you, a payment acceptance, or a webinar registration verification, etc. All done on auto pilot with email automation. This is not an inclusive list however, it covers 90% of the campaigns, and helps you have a comparison throughout this article. Which leads neatly on to the email software providers……. ActiveCampaign has been around since 2003 and developed into an intelligent all-In-one email marketing platform. With built in marketing automation and sales CRM, it has become a popular choice for many business owners and marketers. AWeber is one of the most popular email marketing tools on the market, and one of the first emailing software solutions I used. With over 120,000 customers, they’ve got to be doing something right. It’s a simple to use, feature rich platform. Constant Contact first appeared way back in 1995 and is one of the most popular email marketing solutions among marketing professionals today. A pioneer in this industry, with great features and performance. It is currently owned by Endurance, (which also now own Bluehost). ConvertKit, the new kid on the block was developed by Nathan Barry, a talented software engineer and blogger, in 2015. Developed mainly for online marketing professionals, it has become a popular choice. Drip is developed by the guys at LeadPages, so you know this email marketing software has pedigree. 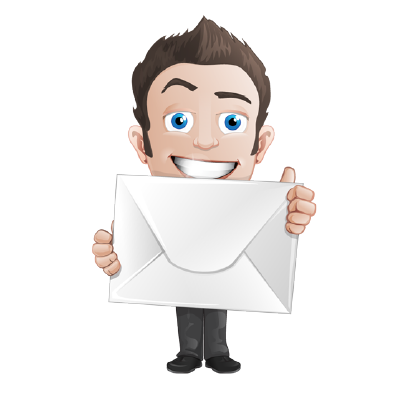 An advanced email automation software with great workflows and integration. GetResponse, is another old timer, having been around since 1997. This mature all-in-one email marketing solution has over 350,000 customers for a reason. It is a feature rich, stable solution and a favourite among marketing GURU’s. MailChimp is one of the most recognised names among the email software crowd. Established in 2001, it’s seen rapid growth due to its ease of use and affordable pricing. So, you’re probably thinking that all email marketing software tools do the same thing, so why is it really that much of a big decision to choose one. Well, yes, they all have very similar features but not all are suited to the same business types or staff numbers. I am going to review our top seven tools and see how they rank in terms of the ‘must haves’. Hopefully, you now get the gist of what’s on offer, and how these tools can benefit your own business. Let’s look at the comparisons, and what you should be focusing on when it comes to email marketing software. With some tools, it’s very easy to get pulled in to the hype of glitzy-featured solutions, but don’t get fooled by all the gimmicks. There are only a few essential key elements you require when it comes down to an email marketing campaign software. In this section, you’ll learn how each email marketing software tool copes with segmenting your contact lists. The “system” denotes exactly how the software will handle when segmenting your contacts. This wouldn’t of even come up as a comparison factor that long ago! Back in the day, all bulk emailing software systems were single list based solutions, meaning all of your subscribers were on one single list. The problem with a single list based solution is that you can’t segment contacts into relevant groups. For example:- you own a shoe shop, so you would want to group people by age so you’re not sending the latest hot sneaker offer to a 60 year old who like loafers, or wheelie trainers to a 40 year old. Segmentation enables you to laser focus your offer to products people are interested in. Luckily, these days the newer software has tag-based segmentation systems, allowing you to laser target subscribers. This can be done by allocating tags, either automatically or manually, based on actions subscribers take, or things they are interested in. Same subscriber on numerous accounts. Right, let’s start testing and comparing systems and segmentation, Ready? Granularity: Getting detailed with their targeting ability. ActiveCampaign’s, tagging is very effective. You can apply the tags for everything from, automation triggers to conditional segmentation. It is intuitive and gets the thumbs up with 4 stars. ​AWeber, has recently applied a tagging system. It works well but doesn’t quite make the grade compared to all of it’s competitors. Good effort but could do better, 3 stars. Constant Contact’s tagging isn’t very intuitive and only offers basic functionally. It’s ok for simple operations, but gets a poor 2 star rating. ConvertKit, was built around tagging functionality and it works very well for both automation, segmentation and granularity. Well done ConvertKit, you get 5 stars. Drip really focuses on automated segmentation and its tagging is impressive. Well done Drip, you get a strong 4 stars. GetResponse has a powerful tagging system, notably tag-based automation, but lets itself down with no manual tagging. 4 stars from us but would have been 4 ½ if they had manual tagging. MailChimp doesn’t use tags, instead they use hidden fields and groups, for segmentation. I’m not impressed. They are not as effective or efficient as the tags. Sorry Mailchimp but you don’t cut it here and you get just 2 stars. You’re gonna love this. In this section you’ll discover how these tools can automate your marketing, save you money and improve your profits. Email automation includes everything from a drip campaign, (also termed as autoresponders), through to sophisticated automation triggers and conditions, which will advance your email marketing to the next level. This type of automation, combined with a tag-based system, will facilitate intelligent campaigns which if utilized properly, can quite literally skyrocket your conversion-rate into the stratosphere. A contact that visits your landing page or sales page but then does not buy, an automated follow-up email is sent to stir their curiosity, give them an offer etc to bring them back to your page, or maybe FAQ’s dealing with any common concerns. Someone who subscribes to your email list who then doesn’t open the lead magnet that they signed up for. Automation can be set to follow up with reminders to download what they signed up for. A customer who has a birthday receives an automated Happy Birthday message. A subscriber (who’s yet to buy anything), reads a blog post linking perfectly to one of your own products, then receives an email sequence promoting that product. Obviously, these are only a few examples of what’s possible. You can be really creative and potentially automate your whole sales and marketing cycle, to the extent that your subscribers will think you have been stalking them- think spooky, not stalky! Conditions: apply conditions which let you split the automations and then segment subscribers on the spot. ActiveCampaign is great for building complicated automations however, the workflow builder is quite slow. That’s why you only get 3 stars. AWeber’s sequence automation is basic, and doesn’t allow for any type of conditional segmentation, so if you are looking for advanced automations look elsewhere. The builder, however, is quite intuitive and fast, bumping up my score to 3 stars. ​Constant Contact’s automation is seriously lacking, and in this list looks like a chump. It’s dated and needs to up its game in this area to be able to compete. A disappointing 1 star. ​ConvertKit hands down has the most user friendly automation builders I have ever seen, without giving up (too much) functionality. ActiveCampaign though is still more flexible, a deserving 5 stars. Drip’s automation builder is quick, easy to use and powerful, but lacks as many features as ActiveCampaign. Still deserving of 4 stars. GetResponse reaches that bit further than the alternatives, however, the automation builder felt slightly awkward and I found it difficult to use, so this reflects in my star rating- 3 stars. MailChimp and Aweber are very similar in that they are both linearly, making it impossible to create advanced automation campaigns. A disappointing 2 stars. In this section you’ll learn which email marketing software comes out on top with it’s split testing capabilities. With Split-testing, you get to monitor variations of email content against each other. Not only is this a vital part of every form of marketing, it drastically improves your goals and conversions. Rigorous testing is not necessary for all campaigns, BUT there are some instances, like during a product launch sequence, where A/B-testing leads on to substantially more profits for your business- which is great. The fact is, when doing these tests, it’s important your email marketing software is capable and the power of A/B testing is fully optimized. Versatility: The ability to test everything from subject lines, call to action, and, also the same email but with a different design. Segmentation: The ability to run a test to specific subscribers based on prior segmentation. This is vital if you have a large email list and you pay per email. Types: The ability to run tests for different types of campaigns. Data: The ability to access the correct data, so that you can accurately assess a leading variant within each test, for example click-through rate, conversion rate, and open-rate etc. ActiveCampaign is pretty awesome, as it allow you to split-test everything. You can A/B test autoresponders, automation workflows, and campaign emails. A well deserving, good, all round score of 4 stars, well done. AWeber’s only split testing features are their forms, There isn’t even a basic A/B testing feature. Come on AWeber, up your game. A very disappointing 1 star. Constant Contact still has no option of A/B testing, although there have been numerous requests over the years to change this. Constant Contact start listening to your audience! A very, very poor 0 stars. Come on Constant contact get your act together! ConvertKit lacks a lot of the functionality of some of it competitors. They have only recently allowed you to be able to test your subject line. Needs to do a lot better, so just 2 stars. ​Drip has some built-in A/B-testing functionality, but being able to test the email content can be difficult at times, It’s testing ability was ok, however, so I give it 3 stars. GetResponse’s A/B testing is comprehensive, even allowing you to test specific email content. You can test sender’s identification, subject lines and delivery times, so they get a very well deserving 4 stars. ​MailChimp, for a budget emailer, it does a good job. It supports A/B testing for delivery time, content and subject lines, so a strong all rounder. Well done, 4 stars. In this section, we put our email marketing software to the test to see just how easy it is to build a form. You don’t want the stress of not being able to design your own forms, because without a form you can’t generate leads. Not all of us rely on our email provider for forms, but for the purpose of this review we will assume you don’t have access to tools such as Thrive Leads or Infusionsoft. Let’s look at the core key elements we will be reviewing in the form builders. Simplicity: You don’t have to be Einstein to grasp how to build the form. (The visual form builders are better here). Functionality: The ability to not only A/B test, but create different form styles, such as popups, overlays and slide-ins will really help bump up your conversions. Implementation: Being able to build the form is fine, but actually embedding the form into your own web page needs to be simple. Pages: For bonus points if you can build a complete landing page. Unless you’re prepared to upgrade, you’re limited. You will also be stuck with their branding on your form, making it pretty weak, hence a disappointing 2 stars. The quality of the templates are poor and lack functionality. You can just about get by, but overall it is their form builders that are pretty disappointing- so just 2 stars. Really lacking in form types, but worst still you have absolutely no control over how the form looks, which was very disappointing- so just 2 stars. ConvertKit allows you to build entire landing pages, which is neat, plus the ability to build different types of forms. The design aspects veer slightly to the weak side, a decent 3 stars for effort. ​It’s design features could do with being improved, but it does allows lots of different form types, and gives great control over visibility and form behaviour, so for that a strong 4 stars. GetResponse offers no control over the form behaviour, but it’s form builder is powerful, allowing you to build full landing pages and lots of different form types. This gives it a well deserved 4 stars. MailChimps’ form builder was fairly limited, but did however have some good features, with the ability to create embeddable, inline, and, pop-up forms- so for this a fair 3 star rating. In this section we will look at the different types of email templates each tool has to offer. Email templates save you time and keeps brand consistency. When using email templates that are autonomously responsive, it allows them to scale to desktop, tablet and mobile, meaning your emails look great no matter what device people are reading them on. Customization features within templates allow you to keep brand consistency and arrange them to your liking. The addition of custom images, logo or text color changes are just some of the tweaks you can make to an email template. Your email will look professional and polished. Choice: A good all- round selection of templates for various industry sectors. Responsiveness: Great looking email templates, that will look good on any desktop, tablet or mobile screen, whatever its size. ActiveCampaign had a few bugs here and there, but provides a good choice of email templates. Their drag and drop email builder was solid, earning a good 3 stars. AWeber has a wide range of templates on offer, but its editor is clunky and the majority of the templates are pretty ugly, so just 2 stars from me. ConstantContact has a great editor that is easy to use, along with a nice selection of templates, BUT they could do with a bit of an update. For this reason, I give them a rating of 3 stars. ConvertKit has a fairly limited selection of templates, but you are able to hard-code your own HTML template, which I liked, so 2 stars again. Drip does not offer templates, yes you heard me right!!! If you want a template you’ll have to code it from scratch. So it’s down to you coding your own (if you can) for a template. A very poor score Drip, just 1 star. GetResponse has a large selection of templates, spread across various types of industries that look pretty darn good. However, the editor was a tad tricky to use, so this brought my rating down 3 stars. MailChimp’s Editor was exemplary, with a choice between well designed themed and layout templates. The editor also worked great. 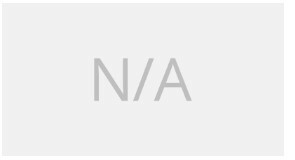 Good job MailChimp, a full 5 stars. In todays’ world, most businesses use numerous different business tools and it’s never been as important for them to have the capacity of communicating with each other effectively. 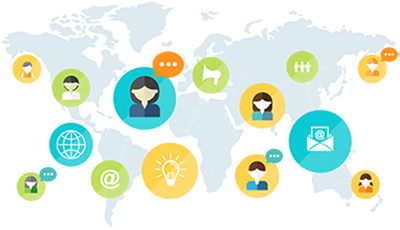 Start a drip campaign to a chosen prospect within a customer relationship management (CRM) tool, such as Infusionsoft. Add a tag identifier to subscribers who have purchased a product with a third-party shopping cart platform, such as Samcart. Design a landing page with a page builder like Elementor 2.0, and then capture emails into your email software tool. Run competitions with a system such as Gleam.io then have your email marketing software capture the emails. For all that to happen you need an email marketing software that’s able to integrate perfectly with other third-party applications. Compatibility: To be compatible with the most popular software tools and platforms. Functionality: To provide good functionality and make complete use of every integration. Extendibility: In an ideal world, should integrate with Zapier opening up the software world to integrate with a number of different apps. ​ActiveCampaign, offers support for Zapier and integrations with a 150 software applications, this is lower than some of its competitors, so 3 stars. ​AWeber, offers support for Zapier integrations, and integrates with 180 software applications, again lower than other’s I’ve tested, so 3 stars. Constant Contact integrates with Zapier, and 278 software applications. The reviews are a nice feature. A good amount of integrations here, so 4 stars. ​ConvertKit, offers support for Zapier integrations, and has integration with over 70 different software applications, reflecting a poor 2 star rating. Drip offers support for Zapier, with integration for 70 different software applications, again low integration, so only 2 stars. GetResponse, integrates with Zapier, and 177 software applications, which earns itself 3 stars. No email marketing tool is complete without being able to reliably track and report. Now I don’t just mean checking open rate stats. Email marketing is all about reviewing data analytics, which can hugely improve the overall effectiveness of your email marketing, which will improve your profits. These reports help guide you to make the right marketing choices, such as, selecting the right A/B test variation or despatching emails at the right time of day. Tracking: To allow and configure tracking over campaigns. Reporting: Supply reports, based on the tracking information collated over a campaign. Filtering: Allowing you to analyse reports and hone in on specific data. Granularity: Offering progressive insight and drill down on the data. ​ActiveCampaign, although sluggish, will immerse you in the numbers, with tons of great visuals, which I liked, 4 stars. ​AWeber’s automation report wasn’t great, but the reporting and tracking was good overall, so a deserved 3 stars. Constantcontact is definitely not for the nerds out there! However if you’re looking for just standard reporting, then it’s right up your alley. I could only give 2 stars for it being so basic though. While ConvertKit is not the most enhanced reporting system, it does what it says on the tin ,and it’s simple, which I liked, so a fair 3 stars. Drip’s reporting feature is impressive with great visuals, all presented pretty impressively. In fact, it’s quite awesome, and I had to give it the full 5 stars. GetResponse may be a bit basic, but it has some attractive functionality, with smart reporting, real-time and ROI tracking. For this alone, I’ll give it 3 stars. ​MailChimp triumphs with the visual part of their reporting settings, and doesn’t come up short on extensive data and interactivity either, a good effort, 4 stars. When it’s time to choose between these different competitors, it can come down to the customer support and quality of service they offer. We all want to be able to get our questions answered quickly and efficiently, as time is money! A good and reliable customer support can be a deal maker or deal breaker! Speed: To provide a fast response time to your questions and tickets. ​ActiveCampaign has 100s of video’s, together with instructive articles, covering a wide range of topics. There is also the added benefit of live chat operator to answer your questions during office hours, altogether great support- 4 stars. AWeber, has loads of how to video’s, although some are a bit dated. You’ll always find what you need, but if you’re like me and just want the answer immediately without searching around, they have live chat and a tool free help line. A really good deal of support on hand, when you need it, so a full 4 stars. Constant Contact offers live chat, community forum and phone helpline option. Together with extensive FAQ’s and videos, offers a fair amount of support here, so 4 stars. ConvertKit prides itself on support, has a live chat option that states it can respond to a query in just over an hour, with an average support turnaround in just 14 minutes. For this I give it a maximum 5 stars. GetResponse has a comprehensive support offering phone, email and live support. They also have a large collection of how to articles to read, giving it a healthy 4 stars. MailChimp offers both live-chat and ticket-based system, together with a comprehensive library of articles. It does not, however, offer phone support with the reason being to keep their prices low. I still give this 4 stars, due to the amount of support given. Now that we have gone through the essential aspects of email marketing software, we can now see how they measure up and compare. We wanted to thoroughly test the deliverability, with all the email marketing tools in this review. As I’m sure you can guess, this can be quite tricky to test, so we decided on two different methods. # 1 The First method - to run our very own test. The first and maybe most obvious way, was to run a test using the exact same conditions over each of the email marketing software tools in this review. Taking 14000 highly active subscribers on the www.entrepreneursgateway.com email list, mixing up the order, and then dividing into much smaller groups of around 2,000 each. Importing the lists of 2,000 emails, directly into each email software tool, then sending out an email from all of them, under the exact same conditions. We waited 5 days, then checked on the results. We rated each email tool based on open rates. Although this was complicated and quite time consuming, we got there in the end, and I truly think the results were worth all the effort. # 2 The Second Method - 3rd Party external testing tool. All the team at www.entrepreneursgateway.com pride ourselves being as thorough as possible, so included another test, this time using an external tool. GlockApps tracks your emails, and provides a reports with extensive data. The only thing we had to do was send the very same email from #1 method to GlockApps provided emails, and it then in turn tracked deliverability. This test gave us much more information than we could have achieved from our own testing, so really happy on that score! There’s still one other thing we haven’t covered. The Price – Yikes ! Getting the right tools that ticks all your requirements for the best value for money is a better decision. For other people, having access to the leading tools to get the job finished with all the bells and whistles, is really all they want, whatever the price. If you’re just starting out or just simply watching the pennies, you will be happy to know Mailchimp is a clear winner for a budget email marketing software title. Even though MailChimp is one of the lowest priced email software tools, you’ll be surprised to hear this isn’t why I’m giving it the ‘best value’ title. There is one thing the above pricing comparison table doesn’t include, MailChimp’s free plan is awesome. Yes you heard me right FREE. You can have a list of up to 2,000 subscribers completely free of charge and send out regular campaigns at no charge. Better still, this plan also includes automations!! Nice one Mailchimp. Who Our Winner Is For The Best Email Marketing Software Tool. Now that I have compared all the email marketing software’s most important factors, here is a summary of each one. 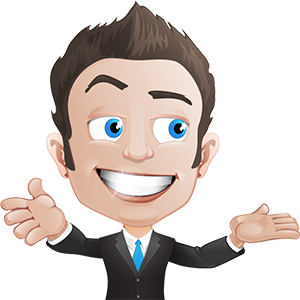 If you would like a full in-depth review of any of the email marketing software solutions, I have done a dedicated review of each one. These are more like “mini-reviews” to summarize my findings. ConvertKit is fairly new to the software market. This blogger and designer-focused email marketing tool, built by Nathan Barry, gained popularity by achieving backing from prominent people, such as Pat Flynn. With an impressive and memorable tagline of the power of infusionsoft but easier than MailChimp. MailChimp has been around for quite some time and has a huge 15 million customer base. It’s offers everything from automation set-up, sending out emails and running targeted campaigns. This, I feel is most things you would need to grow your business through email. AWeber, which started in 1998, has a strong position in the market today and currently has around 100,000 users. Most people will probably be familiar with AWeber, mainly because it was the most popular email marketing tool for such a long time. This marketing tool is the oldest within this review, dating back to 1995, and currently owned by Endurance International. This is the same company that’s behind the big boys such as Hostgator, Justhost and Bluehost. ActiveCampaign supplies an affordable means that business owners can stay in contact with their associates. Active Campaign is now one of the largest of the email marketing sites on out there today, could this be the best auto responder for email marketing? Drip came to the market in 2013, so this is a newer tool from the review. It very much focuses automation and was bought by the people behind LeadPages. GetResponse is another experienced email marketing provider and all-in-one marketing platform established in1997. To date, it is a well-developed email marketing tool and has well over 350,000 current customers. There it is- our definitive review on all the aspects you should look for in an Email Autoresponder, to make your business go from zero to hero status. Have you been party to the Best 7 Email Autoresonders we have reviewed , and if so, what can you share with us?